Hello! 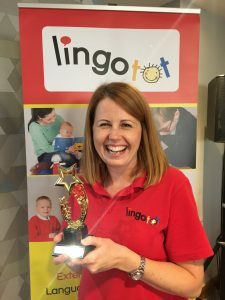 My name is Jaclyn and after having my son in April 2016 I left my Facilities Manager role in London and I now run Lingotot Gravesend. I live in Hoo in Kent with my husband and our son Finn who is 2.5, and we love to travel to see my parents who live in rural Spain. I’m part of a book club who meet monthly and I love to read, sadly I don’t have as much time as I used to when I used to commute to London and had hours to read, but I now enjoy reading with my son who loves to sit down with a new book and read it over and over (and over…) again! What is your son’s favourite book? Finn’s current favourite is Oi Frog! 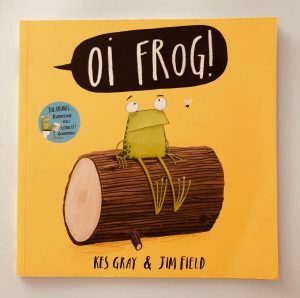 By Kes Gray & Jim Field – it’s a hilarious rhyming story about a frog who discovers that all animals have their special places to sit. Finn loves saying the relevant rhyming word to the animal (i.e. cats sit on mats, foxes sit on boxes) and he’s learnt lots of new words as a result. There are lots of different animals in the series and I can’t wait to get more books for us to read. Oi Dog! is the second title in the zany ‘Oi Frog and Friends’ series. There are currently four books and we love each and every one! If you’ve read book one – Oi Frog! – you’ll know that these bonkers tales are about a peculiar set of rules which dictate where an animal can sit. In the first story we met Cat, Dog and Frog. Cat explained that animals are only allowed to park their bums on things which rhyme – so cats sit on mats, frogs sit on logs and (unfortunately for this particular frog) dogs sit on frogs. Squish! As we move in to book two we see the feisty frog choosing to rebel. He disagrees wholeheartedly with the current rules so sets about making some of his own. I’m Sakina. Mum of 2 boys, 7 and 4 living in South London. I’m a Hypnobirthing teacher and Birth Trauma Resolution Practitioner which I became passionate about after becoming a mother. I have always loved reading in my life and sharing books with my kids has brought so much joy and connection to my days as a mother. In those early years at home sometimes at a loss of what to do, a good book and a cuddle on the sofa would transform our day and reconnect us. 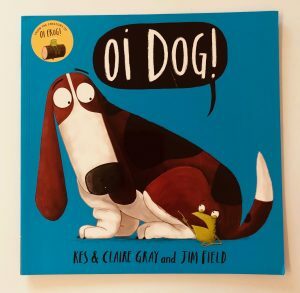 This series of books by Kes Gray & Jim Field definitely wins the award for most random but we love them! The book centres around a set of ‘rules’ which determine what different animals are allowed to sit on. The two main characters are a cat and a frog and the former is explaining the rules to the latter. The cat tells frog that he has to sit on a log – but he doesn’t want to! Logs aren’t comfortable and they give you splinters in your bottom -but unfortunately those are the rules! The cat then explains all the other seat-based rules and they get more and more crazy. We see moles sitting on poles, lizards sitting on wizards, gophers sitting on sofas, gibbons sitting on ribbons and even fleas sitting on peas (Ivy’s favourite!). 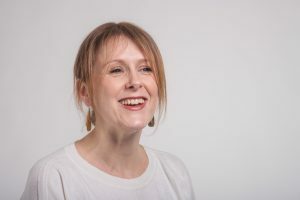 I am Emma Fulton and I am a career coach living in South East London. I support women with children to make sense of their careers after they’ve become parents so that they can find work they love or love what they do again. I have 3 boys who are 9, 2 and 1. What are your children’s favourite books? I have read a bedtime story to my eldest since he was tiny, including reading all 4,224 pages of the 7 Harry Potter books to him. I feel really lucky that he still lets me read to him now. It’s been such a bonding experience for us. The standout favourite by a mile from his toddler years was “Aliens Love Underpants” by Claire Freedman. I would read it to him every night. It’s a rip-roaring adventure where the naughty aliens land on earth and make mischief with all manner of different pants until they manage to create something that will sling them back into space. Daft but fun.